Are you ready for the giveaway of the year? We thought so! This year at Posa’s on Zafarano we are offering a huge giveaway to our awesome patrons! You can enter to win an amazing prize including Isotopes tickets and a dozen of Posa’s famous Tamales. 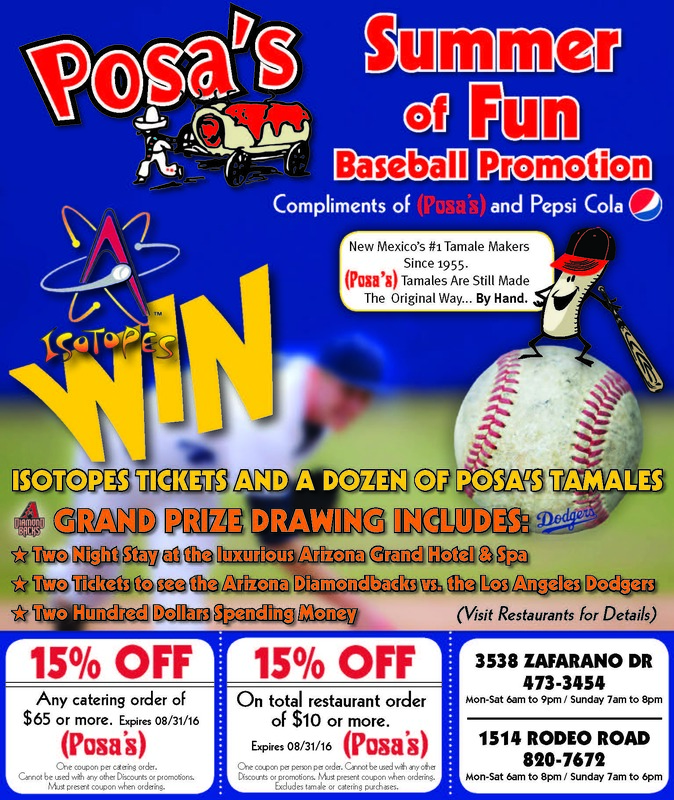 The Summer of Fun Baseball Promotion is being sponsored by Posa’s Restaurants and Pepsi Cola. Once you enter the contest you are in the running to win a free dozen tamales, Isotopes tickets, and the grand prize winner will include a two night stay at the Luxurious Arizona Grand Hotel and Spa, the grand prize winner will also recievie two tickets to see the Arizona Diamondbacks vs. the Los Angeles Dodgers, and the lucky winner will also receive $200.00 spending cash! This prize is huge folks! 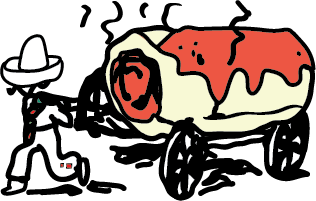 All you have to do is to stop by the restaurant and see the details for the contest and find out how you can enter, but hurry up the promotion ends soon! We are located at 3538 Zafarano Dr, in Santa Fe, NM, and our hours are Mon-Sat from 6am to 9 pm, and we are open on Sundays from 7 am to 8 pm. Don’t miss out on this great getaway opportunity and visit Posa’s on Zafarano today!